As a Senior Lead Advisor, Aaron works with clients to develop, implement, and monitor tailored financial solutions. He has over 17 years’ experience in the financial services industry and has enjoyed providing truly comprehensive planning to his clients. Prior to joining JFS in 2012, he enjoyed a successful career in Wealth and Trust Management with Bank of New York Mellon, Pittsburgh, PA. He is a member of the Financial Planning Association (FPA) and the Estate Planning Council of Pittsburgh. 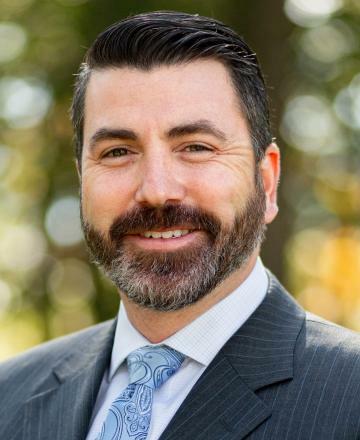 He holds a Bachelor’s Degree in Psychology from Slippery Rock (PA) University and an executive certificate in financial planning from Duquesne University, Pittsburgh. In 2008, he earned the CERTIFIED FINANCIAL PLANNER™ certification. He lives in Neshannock, PA, with his wife and two daughters and enjoys outdoor activities, golfing, skiing, camping and fly fishing.